"I was fortunate enough to be referred to Dr. Jeffrey T. Miller and was pleasantly surprised upon my arrival for my first appointment. His staff was courteous and receptive and the facilities are of the up most quality. I was impressed by Dr. Miller honesty and humor as well as his professionalism. Typically, I am always skeptical of the following three professions; Car salesmen, Mechanics and Dentist. However, my skepticism dissolved upon our first handshake and conversation. I will continue going to Dr. Miller for all of my dental needs as long as I reside in Los Angeles." Thank you for your excellent work this morning. From the perfect color match to the careful finish, I am extremely pleased with the result. I also appreciate your friendly and comforting manner which put me completely at ease during the procedure. Thanks again, with my sincerest wishes for your continued success." "When I moved to Los Angeles, I held off on going to the dentist as I had poor experiences in the past when attempting to find a new doctor. Fortunately, I found Dr. Jeffrey T. Miller. Dr. Miller balances a pleasant "chair side" manner with exceptionally skillful dentistry. I definitely feel that I hit the lottery by finding the perfect dentist. Thanks, Doc!" "I'm fortunate and lucky to have a doctor who is not only knowledgeable, extremely competent, and passionate in his expertise, but also a person with a great amount of warmth. I feel safe knowing that I'm in the hands of a good doctor when I'm sitting in Dr. Jeffrey Miller's office." "If I had a child, Dr. Jeffrey Miller would be my kid's doctor." "Amazing! Previously, I always felt something; either the needle or the tooth aching after the dentist has worked on it. With Dr. Miller, I felt neither. It was like I never had anything done! Consistent, competent, gentle, and skilled!" "Dr. Miller has done a remarkable job for me during the past year that I have known him. His professionalism and expertise shined through all the steps of the complicated procedures. Also, he educated me about some interim choices we needed to make to get the best restorations. Although, the lengthy experience, it was not painful with the help of anesthetics and jokes from Dr. Miller. I trust Dr. Miller because he values patients by preserving their teeth rather than performing unnecessary procedures to make more money." "It was a genuine pleasure going to Dr. Miller's office for the first time. Dr. Miller and his staff were very friendly and went out of their way to make me feel comfortable. Rather than just "diving" right into my mouth, Dr. Miller took the time to chat with me while taking a careful history. Unlike a previous dentist of mine, he didn't try to "scare" me into costly or unnecessary procedures. He allowed me to make informed decisions by thoroughly explaining the pros and cons of all my options. I look forward to going back to Dr. Miller for my future dental needs. Brett D. Leggett, M.D., F.A.A.P. "Moving to Los Angeles, my husband and I both had to find a new dentist. Both of us had been with dentists, we knew since we were little and that were friends of the family, which made it even harder for us to find a new dentist. We were so happy even we found Dr. Jeffrey Miller. Right from the start we felt welcomed and the atmosphere in the office is very warm and friendly. We have found a dentist here that feels once again like family." "You are a great and awesome dentist. I have had the pleasure of sitting in the chair and looking up at Dr. Miller as my dentist. The appointment was painless. It was surprisingly quick and had very little after effects. Congratulations for a job well done!" "I found Dr. Miller to be a kind, thoughtful, and excellent dentist who has integrity and honor with a sense of humor." 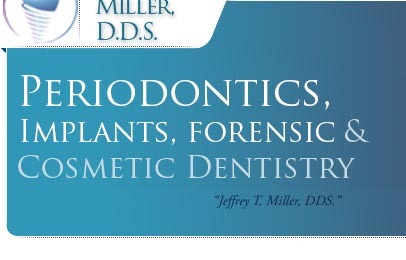 "Dr. Miller and his staff are very friendly and courteous. They are sensitive to the needs of their patients, and are willing and eager to work with you. I am very satisfied. I came in with a very painful tooth infection and needed a root canal. Within hours, I was out of pain on the way to recovery. Thanks to Dr. Miller and staff." 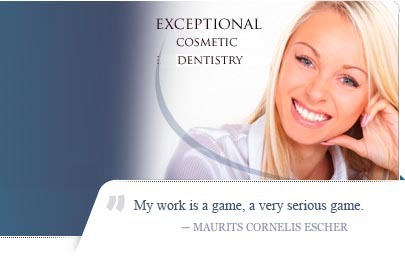 "I have seen a lot of dentists and my experience with Dr. Miller has been exceptional. He is very caring and very concerned for his patients at every visit. I must say he is very gentle with each procedure. I admire him and his judgment." "I just started going to Dr. Miller and I am very impressed with his work. He is very gentle and thorough. He tells me what he is doing every step of the way, which I like very much. He makes me feel very relaxed." "Dr. Miller is a very nice doctor. He has real nice hands. I will come to him anytime and recommend him to my whole family. I am very happy with Dr. Miller."